Jazeman Jaafar will compete with Carlin in this weekend’s British F3 International Series round at Brands Hatch to ensure he is eligible to race at this year’s Macau Grand Prix. 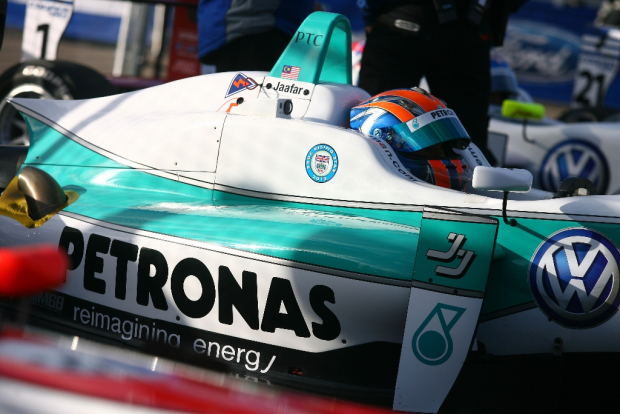 The PETRONAS Talent Programme driver and British F3 Vice Champion in 2012 will be reunited with a Carlin British F3 car for this fourth round of the 2013 Series, using a break in the Formula Renault 3.5 Series schedule to race at the Kent venue. Speaking of a potential return to Macau for the F3 Grand Prix, Jazeman says, “It is such a great event and I love racing there, so if I can I definitely want to be there. Falling in the off-season of the World Series calendar, it would give me chance to keep myself race-fit during the quieter winter months and more street racing can only be of benefit to me. The Brands Hatch round of the British F3 International Series, the third of the four rounds in the championship, is from 10th – 11th August. The 60th Macau Grand Prix takes place from 14th – 17thNovember this year.